Conva's single tier bussing system would cost $808,000, in addition to the proposed 1.87% increase to the school operating budget. The ConVal School District is deciding whether to push the start time for middle and high school from 7:35 to 8:35 to give students more time to sleep. Board member Janine Lesser says research shows adolescents need 10-12 hours of sleep each night. “When they get that sleep there are all kinds of positive outcomes, from their academics to their health to their social well-being,” she says. Portsmouth, Oyster River, and Keene have opted for later school start times. But accommodating the change will be costly, given the size of ConVal’s district - over 200 square miles. Lesser says the board considered putting K-12 students on the same buses but abandoned that option after feedback from parents. 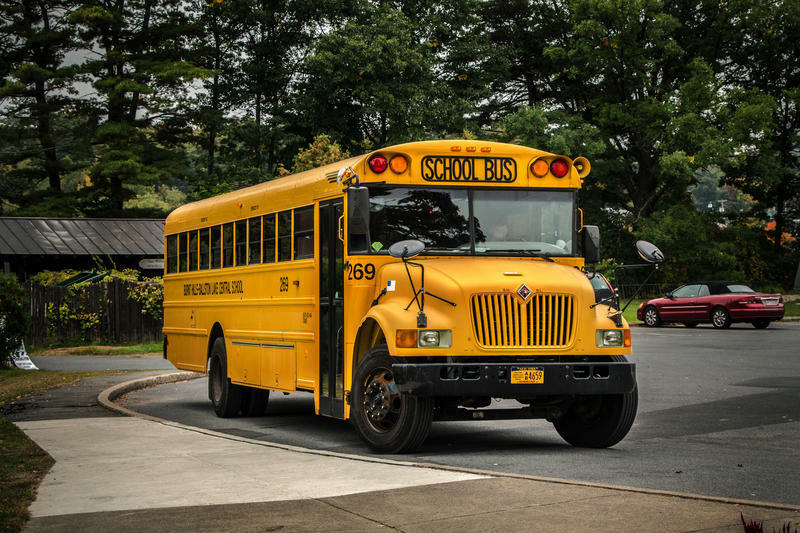 Getting all K-12 students to school at the same time on different buses will require an overhaul of the district’s busing system, at the annual cost of $808,000. Voters will consider the issue in a separate warrant article when they vote on the school budget next month.